Many are trading in overflowing closets for slow-fashion, capsule essentials. 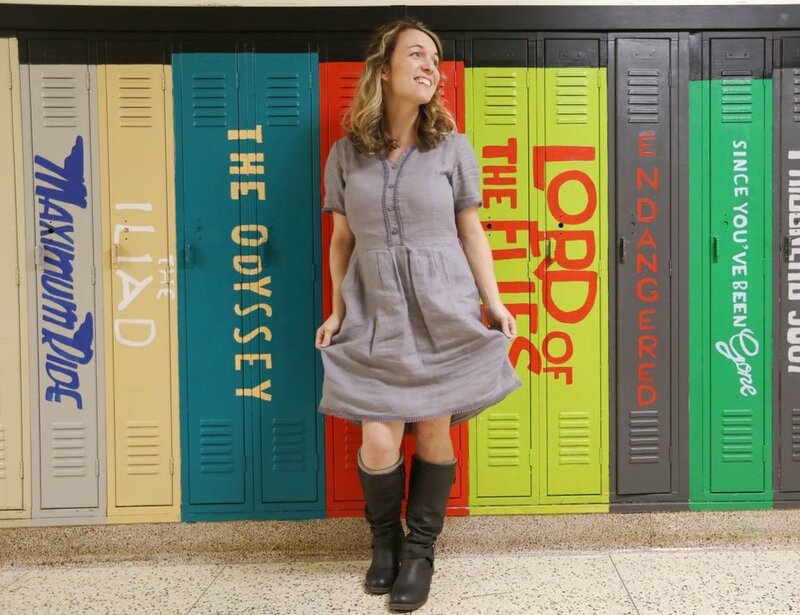 Recently, a New Jersey teacher made headlines for wearing the same dress for 100 days. While this might sound like the opening to a bad joke, it’s actually a valuable lesson in sustainable fashion and leading by example. Julia Mooney first put on her signature grey dress at the start of this school year to make an important statement about America’s growing culture of excess. She hoped that her eighth-grade students would absorb the lesson that they don’t need to have the latest fast fashions, no matter how much peer pressure says otherwise. There’s a different way, and it’s here to stay—much like the grey dress that’s become a symbol of this anti-consumerism movement. Mrs. Mooney’s story provides us with an example that we can all follow. And the first step on the path to sustainable fashion is to get rid of the idea that we need to buy new clothing until our closet is overflowing with more items than we can wear. While we’re at it, we can throw away the idea that we need to constantly wear something different. Does that mean we should follow Mrs. Mooney’s path and wear the same outfit for 100 days? Well, not necessarily. By stocking your closet with a couple go-to pieces of clothing and then building around them, we can get all the variety with less of the waste. This concept is known as a capsule wardrobe. A capsule wardrobe is a small collection of essential items of clothing that don't go out of fashion, which can be enhanced with seasonal pieces. From shawls to scarves, Mrs. Mooney augmented her outfit with new colors, fabrics, and accessories giving her single grey dress 100 different looks. Oh, and if you’re wondering, just because you’re wearing the same clothes every day doesn’t mean you should never take them off your body. Low-impact cleaners are key when it comes to keeping your outfit looking—and smelling—fresh! If there’s anything Julie Mooney has shown us, it’s that most of us have more clothes than we really know what to do with. And we usually don’t end up wearing many of them except for our very favorites. Take a look through your own closet and you may find that’s true for you, too. The solution is simple. We can either waste time, money, and closet space building up a collection of throwaway clothes until we’ve finally had enough (and need to call Marie Condo in to help get rid of them all). Or, you can curate a simple, sustainable capsule wardrobe right now, and preserve the open space in your closet by embracing a couple staple items. By planning out your outfits and accumulating only what you need, not only does it cut down on the amount of clutter in your closet, it also reduces the amount of mental energy you need to put into getting dressed each morning. And if saving money and cutting back on waste aren’t enough, there are wellness benefits as well. By eliminating low-priority decisions from your day, you can delay decision fatigue and concentrate on more important things. Simply put, just do it. Try limiting your outfits to a couple essentials for a month. Because you’re going to be wearing these same clothes pretty often, you’ll want to be sure that they’re comfortable, flattering, and high quality. This is not a time to turn to any cheap t-shirt off the department store clearance rack. Fast fashion is not made to last. You’ll want to splurge a bit on good quality clothes that are going to last. And, because you’re not buying nearly as many, this approach will save you money in the long run. Now would be a great time to vote for your values with your dollars. As you choose the pieces of your new uniform, consider brands with a commitment to causes you care about. It’s as easy as that. See if anyone notices. Better yet, share the news and get others to give it a try.